India Pale Lager, but closer to Imperial Pilsner than IPA, according to the brewery. Draft service into a shaker pint glass at Beachwood BBQ. A: Clear, medium golden color with over one finger of white foam head. Moderate lacing remains on the glass. S: Powerful juicy grapefruit citrus fills the nose. Additional floral and lesser tropical fruit notes round out the intensely hoppy scent. T: Begins dry, with juicy grapefruit flesh and moderate citric acidity that matches the smell exactly. The middle sees a gradual tapering-off of the hop aromatics, with whiffs of lemon and melon developing then vanishing. Malt is never able to emerge and distinguish itself amongst the swirl of hop qualities. The finish is moderately bitter but very clean, with fairly intense grapefruit peel still representing the hops component. M: Thin to medium viscosity, wet and acidic--but not uncomfortably so--on the palate, with moderate carbonation. D/O: Unlike most of the amped-up American-brewed pilsners that come and go, The Bruery's Humulus Lager chooses to turn its back on the traditional noble cultivars of hops in favor of our own pungent kinds. The result is nothing short of amazing, with very focused citrusy hops on point from start to finish. It turns out that the pale lager base is a great vehicle for showcasing such qualities, which is what the enthusiasts of traditional, full-flavored pilsners have been telling the rest of the beer world all along. As an aside, I had the opportunity to try Alpine's new imperial pilsner the last time I traveled to their pub, and while a good beer, it was not able to approach the seamless intensity of this beer. This beer smells and tastes like it was brewed by Alpine, such is the mastery over the hops demonstrated here. I had this on-tap at Max's, served in a goblet. Pours a clear amber with gold hue and a layer of off white head. Smells of fresh green hops, citrus peel, and some sweet bready malt undertones. The taste is made up of citrus peel bitterness, green hops, and a sweetmalt and bitter hop finish. The body is medium with tingly carbonation and a finish that is not very dry. Draft serving in a tulip glass. Bright saturated orange, bright clarity, lasting presence of creamy white foam on the surface. Fluffy couple fingers of foam that last for awhile. Lots of lace, looks more like an IPA. Resiny pungent hop aroma, citrus sweetness, fresh and dank. Very smooth and easy drinking, a fistful of citrus hits first, lots of grapefruit and resiny hop oils. Moderate bitterness that sticks in the teeth, lingering long into the aftertaste. Grapefruit flesh and pith dominate, this is a deceptive lager base, as it masquerades as a dank west coast IPA. Pretty nice stuff, hope we see more of it in Chicago. On-tap 9/8/2014 at Doherty’s Ale House in Warwick, RI, served in a snifter glass. A: The beer is a deep gold color, with a large off-white head that fades slowly and leaves a thick but spotty lace on the glass. S: The aroma contains floral hops, caramelized malts, lager yeast and citrus. T: The taste starts out with a strong but not over-powering hops bitterness. Then some citrus and caramel sweetness comes in followed by breadiness from lager yeast and a hearty malt character creating a very good balance. The after-taste is slightly hoppy and slightly sweet. 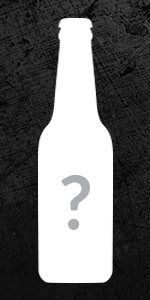 M: Crisp and very smooth, medium body, medium carbonation, finish is clean. O: Very tasty, goes down very easily, not too filling, decent kick, very good representation of style, this is a very solid beer to drink for a long time if you’re in the mood for the style. This is the best imperial pils I have ever tasted. The amount of hops is just right, and brings out the freshness, citrus, and crispness of this brew, it strikes an excellent balance that just works for me. Not as strong as DIPA, which can easily be too hoppy or boozy. I suspect it must be tasted on tap. I can drink this all summer long, if I can get my hands on it.